âÄúThe Disciples of Jimmy DeanâÄù gather to remember the good days. In 1955, when actor, icon and heartthrob James Dean died in a horrific car crash, his teenage "disciples" in McCarthy, Texas vowed to never forget. Twenty years later, the group of friends has a reunion in the local "Kressmont Nickle and Dime Emporium." Thus, the Darien Players' 32nd season continues with cult classic "Come Back to the 5 & Dime, Jimmy Dean, Jimmy Dean" by Ed Graczyk, directed by award winning film director AJ Mattioli. Now middle-aged women, the "disciples" reminisce about the filming of Dean's last film, "Giant," in a nearby town called Marfa. They explore how the proximity of such a celebrity changed the town and themselves. Of course, after 20 years, their lives have taken diverse routes, however, the reunion also explodes with secrets. One of the girls, cast as an extra in the film, worries about the whereabouts of a child conceived with Dean during the shoot. Congenial reminiscences mingle with flash backs to their youth; then the arrival of a stunning but familiar stranger sets off a series of confrontations that smash their delusions and expose bitter disappointments. While pensive and addressing some serious elements, the show is "full of home spun humor [and] ... surefire comic gems" according to the New York Post. 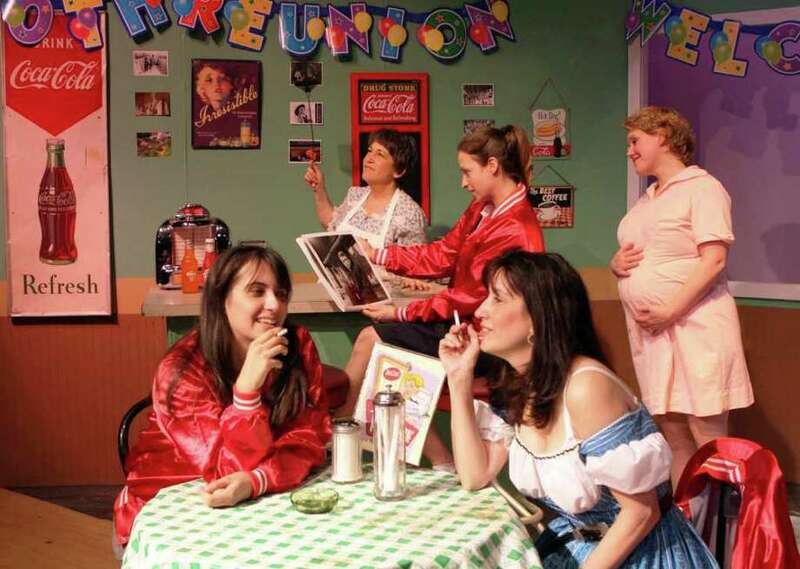 "Jimmy Dean" runs March 9 through March 24 at the Darien Arts Center Weatherstone Studio. Friday and Saturday shows will be at 8 p.m. and Sunday matinees will be at 2 p.m. Tickets (Adults: $25, Seniors: $20) are available on the DAC website or by calling the box office at 203-655-5414. The season will end in May with "The Runner Stumbles," a drama by Milan Stitt. Founded in 1975, the Darien Arts Center is a nonprofit organization dedicated to providing visual and performing arts programs and events for the community. The DAC offers educational programs in dance, visual arts, theatre and music and performances by the Darien Players, and Cabaret Theatre. The organization is funded by private donations, tuition fees and ticket sales. For more information, call 203-655-8683 or visit arts.darien.org.